wait no longer, it will be available this Friday, 10/25/2013 in my store HERE! I created this cute little treat using the those little shot glasses (really plastic) you can find at Target. They come in a pack of three and since I'm not a big drinker I thought I could use them for something else. I used a wine cork (which was given to me!) and closed up the little tube. And of course I finished it off with My Creative Time Fright Night Stamp Set! Super simple and cute right? This is so fun!! I love the tub and of course the tag is awesome! Who wouldn't love to get "boo'd" with some yummy candy corn? Very cute! Thanks for the chance to win! Love your tube treat! I never thought of using a speech bubble as a tag - super cute idea! Thanks for sharing. What a fun treat! I saw those little shot tubes but wondered how to cap them off..good idea on the cork. What a creative little treat. I'll check out Target for those little shot tubes. Yummy treat and cute tag. What a neat and clever idea. Your treat tube is wicked awesome and your tag is spooktacular. Garsh girl you looked at these tubes and envisioned this...WOW!!! I love how you used Miss Emma's goodies. What a cute treat holder. I just love this one. Really cute treat holder. What a great idea. What a cute treat holder! TFS! What a great idea for holding treats! Thanks for sharing! I like the vintage look the cork gives the bottle. The Speech Bubble is perfect for the tag/sentiment. Great job! How clever is this treat holder!! LOVE this!! So creative! 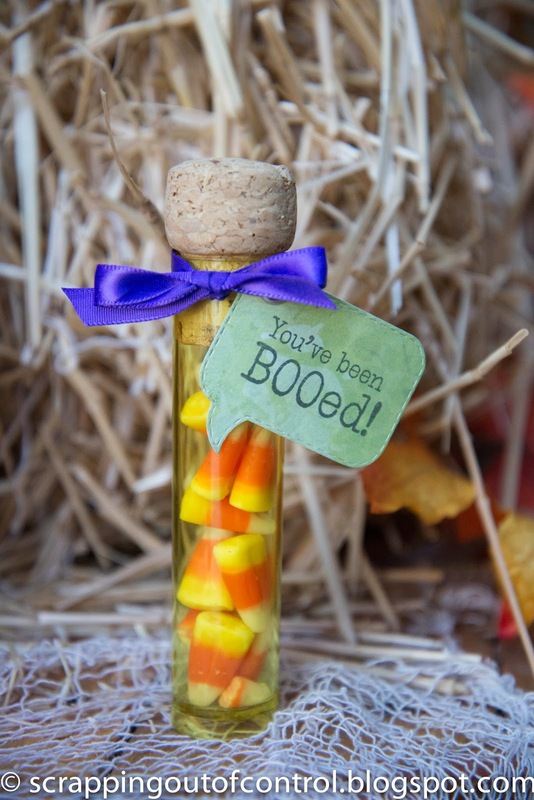 Super cute, love that test tube!! This is such a fun idea. TFS. 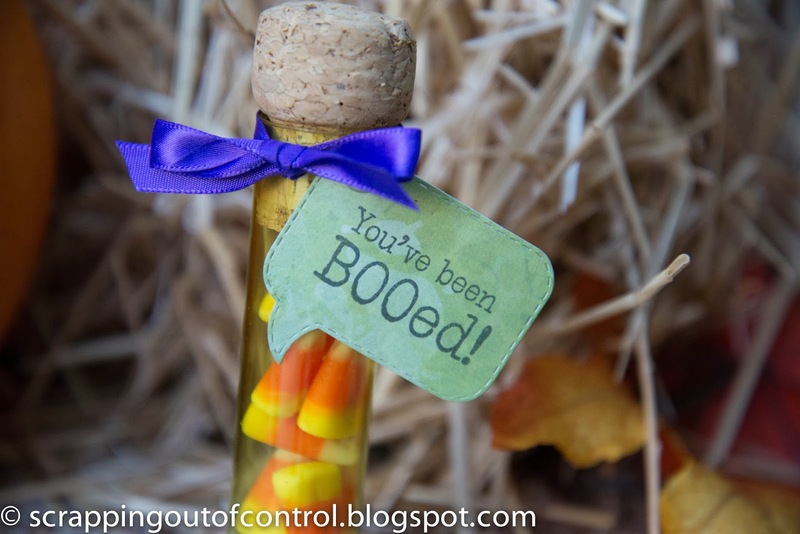 Love the treat tubes and your speech tag is makes it special. Cute treat tube! Love the fun tag! Nancy ~ Oh this is too CLEVER! Using shot glasses then a cork from a wine bottle ~ LOVE it! Great idea using the bubble die too ~ always fun to learn new things!! Awesome idea here!! !